Manual toothbrush, or electric toothbrush? Which one is better? Today, we answer this existential question. 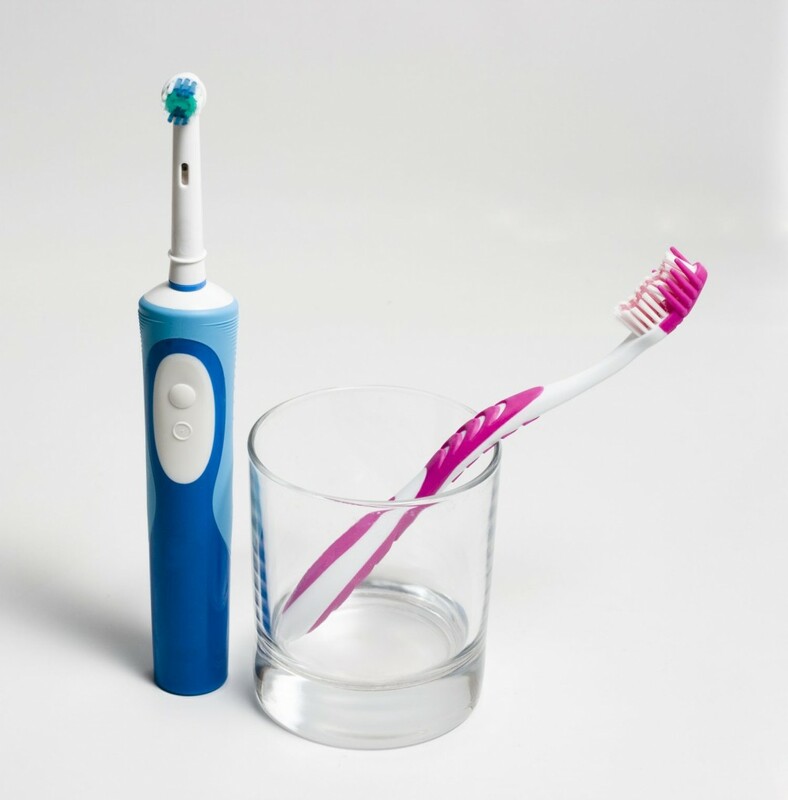 Since its invention in 1954, the electric toothbrush has competed with its manual counterpart. But the manual toothbrush has resisted, always claiming its ability to clean teeth. So which one is better? Let’s break things down to find out. The manual toothbrush is a classic. It gets the job done. It has successfully cleaned teeth and reduced plaque for decades. Available in a number of formats, bristles, heads and colors, it is easy to use, easy to carry, and easy to replace. Not to mention that it is much cheaper than an electric brush, making it accessible to more people. But watch out for excessive brushing! Without realizing it, many people brush too hard with a manual toothbrush. Too much pressure can damage the enamel or the root of the tooth, causing hypersensitivity around teeth. The electric toothbrush is the new and improved way to brush teeth. Just turn it on and let it do the job for you. It is constantly in action; pulsating, oscillating, rotating to clean your teeth without requiring much effort. The additional motion gets rid of residual plaque, food debris and even surface stains in your mouth. In fact, compared to its manual counterpart, the electric toothbrush reduces plaque by 21%, and gingivitis by 11%. Some of the newest models have built-in timers that tell you when to stop brushing, built-in sensors that warn you if you apply too much pressure, and corresponding apps you can install on your smartphone for a ton of fun and educational facts. However, the electric toothbrush is significantly more expensive than its manual rival. It needs to be charged and taken care of, is relatively fragile and bulky to travel with. Our final verdict: they’re both great! Manual and electric toothbrushes are not enemies; in fact, who says we can’t use both? It all depends on your oral health needs. A manual toothbrush could suffice if you have good dental hygiene and a soft stroke on teeth. On the other hand, electric toothbrushes are a good option if you wear braces, have gum disease, or simply tend to brush too hard. Whichever toothbrush you choose, always brush twice a day and thoroughly for at least 2 minutes, and don’t forget to floss! And remember that you can always ask your dentist for professional advice.